"I'm the miracle wall" ring any bells? If so it is likely you chose a Sega Master System over the Nintendo Entertainment System. 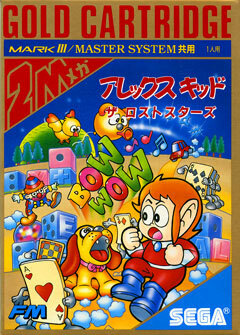 Alex Kidd always lacked some of Marios charm for Genki (perhaps it was having to look at him through those painful 3D glasses? Or maybe it was his annoying death cry?) But where gameplay is concerned, it certainly was the kiddie being successful with innovative additions to the platform genre such as lift platforms, conveyor belts and wave attacks setting out a template for many developers to slavishly follow. Brand new. 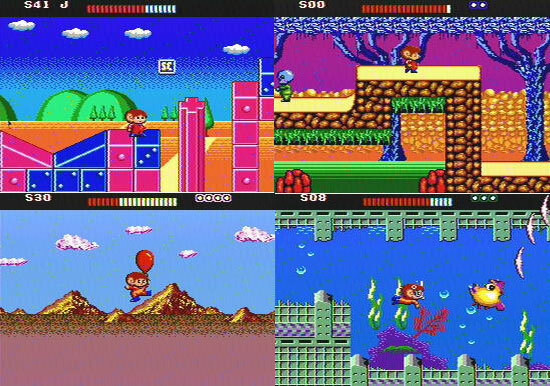 Sega Japanese Mark III System compatible. General box scuffing as you find with the gold effect finish.